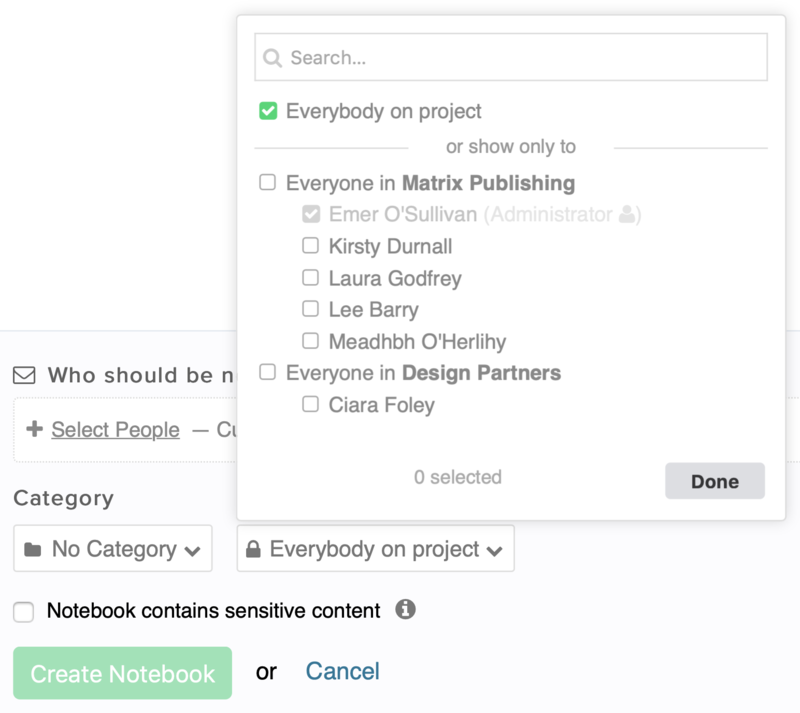 Within Teamwork Projects you can set privacy on any notebooks you add to your project so only certain users can access them. You can set privacy on notebooks when first creating them on your project, or by editing an existing notebook. When creating a new notebook, you can set privacy below the notebook content. By default, privacy will be set to Everybody on project. You can also set privacy to a particular company or companies, some individuals in one company, or some individuals across different companies. To change the privacy of an existing notebook, hover over the notebook in the project's Notebooks tab. From there, select the Edit Details option below the notebook name.